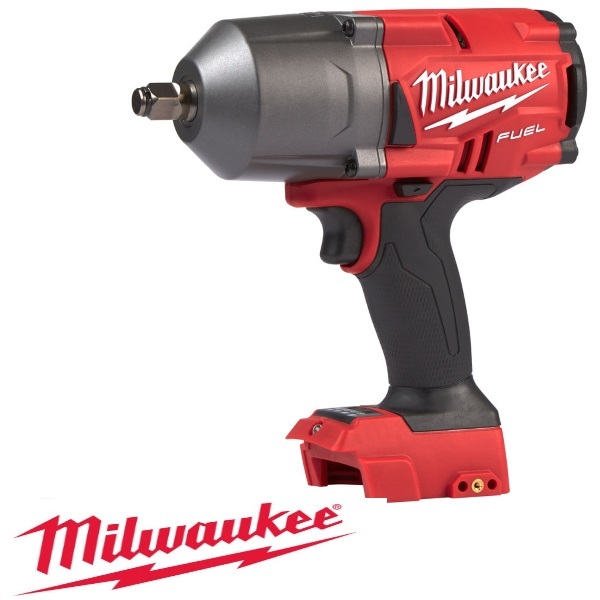 The Milwaukee M18FHIWF12-0 is a high torque fuel 1/2" Impact wrench. This model is sold as a zero tool (batteries and chargers sold separately HERE). This Impact Wrench has the high capabilities of reaching up to 1898Nm of Torque which is amazing for such a small cordless tool (only 213mm) !! This model features four different modes allowing the user to shift into four different speed and torque settings to maximise its capabilities. In mode 4 it can go from 1898 Nm of tightening to 750rpm to remove fasteners. A built in friction ring allows quick and easy socket changes, whilst the premium rubber overmould withstands corrosive materials and provides increased user comfort. The built in LED light helps to illuminate the working area.